When you close your eyes and think about a tropical holiday, this sweet fruit will inevitably make at least a cameo appearance. 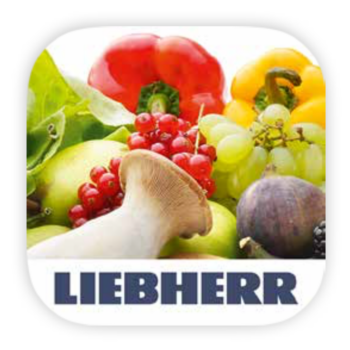 After bananas and citrus fruits, it is the most important fruit in the world today. We’ve uncovered some surprising information about this delectable exotic fruit. The pineapple is a tropical fruit and comes from the tropics and subtropics. It is native to Brazil, Paraguay and Guyana. There are over 100 different varieties but only a few are traded on the world market. The pineapple is not only highly appreciated in their countries of origin, but we also love them here in Europe, which is probably due to the outstanding sweetness and succulence this yellow fruit offers. A special characteristic of the pineapple is that the rough and scaly shell, from a botanical point of view, is composed of around 200 individual fruitlets (small fruits) – all of which are recognisable by their individual scales. This gives the pineapple its distinctive looks, similar to a pine cone with a mop of green hair. Hence the English name pineapple. As a matter of fact, not only is the botanical composition of the pineapple extraordinary, their history is also fascinating. The distribution of the pineapple began in northern South America via Central America until it reached the West Indies. There, on the Caribbean island of Guadeloupe in 1493, Christopher Columbus was welcomed by the indigenous population with pineapples. He was immediately impressed and brought the sweet fruit back with him to Spain. The reason for the rapid distribution of pineapples in South America before the arrival of Christopher Columbus was simple. The cultivation of the plant is relatively easy and problem-free. And we can even do this ourselves on the windowsill! Try it out for yourself at home (yes, even in the UK!). All you have to do is carefully twist off the green crown of the pineapple and remove the bottom leaves. Let the leafy crown dry for two days in order to prevent them from rotting. Now your pineapple plant can sprout roots in a glass of water. When the roots have reached a length of five millimetres, you can plant the saplings in potting soil. Patience will be of great virtue until the first fruit – it will take one to three years until a new pineapple fruit is produced. Nowadays pineapples can be found year round in our supermarkets. But how can you identify the perfect pineapple? 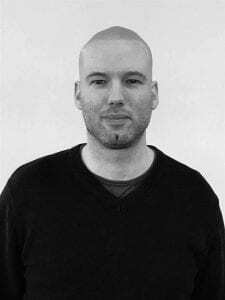 Well, take a closer look at the following features during your next shopping trip: the scaly skin should only be slightly dented and the inner sepals can easily be pulled out. Other signs of a fully ripe pineapple are a sweet and aromatic smell and a clear skin colour. Since pineapples are mass imported, they often have a lot of acidity and hardly any aroma to them. The reason is due to an early harvest. This means the fruit are picked before they are ripe, so that they can survive the long journey by ship. In contrast to bananas, pineapples don’t ripen after they are harvested. Therefore the fruits that are available in Europe don’t often taste like a fully ripe pineapple should actually taste – pleasantly sweet with a fruity aroma. You can store the pineapple in the fridge at home for up to 23 days before eating but do ensure that it’s not too cold. 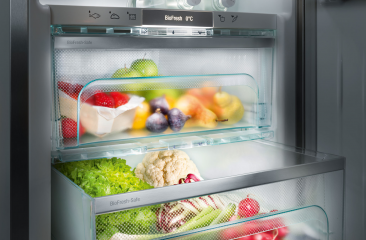 If you have a Liebherr appliance with BioFresh-Plus functionality, you’ll be able to store it for a little longer still (27 days at precisely +6°c). Before it’s ready for human consumption, perfect preparation is a must. Cutting pineapples requires some skill. Anybody who knows how to do this knows that just a few steps are required in order to savour the fruit. Firstly, separate the crown and the base – now the fruit has a good, upright position. Secondly, detach the thick skin and then divide the pineapple into four slices. Now you can easily cut out the hard, stringy stem. The stem is not suitable for raw consumption because of its firm consistency, but it is nevertheless aromatic and can be used once cooked in chutneys or curry for example. Now cut the pulp into slices or cubes and enjoy the sweet fruit! By the way: Canned pineapples are only a good choice if you can’t get fresh fruit. The enzymes and vitamins from pineapples are all but destroyed in cans. And, as much as we may love to taste the rich flavour of pineapples in a can, the full spectrum of aroma contained in the fresh fruit is simply no longer recognisable. There’s more to it than just piña colada! Most people know pineapple from their many different uses: whether it be pure, in a fruit salad, in juices, a piña colada or the classic Toast Hawaii. 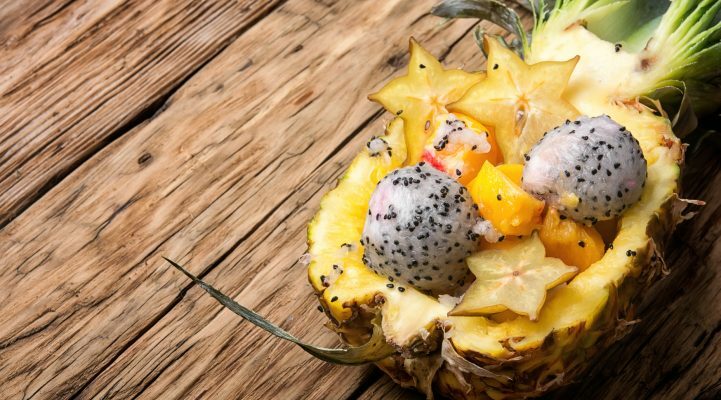 With its fruity sweetness, the pineapple can also give hearty dishes a special exotic touch. 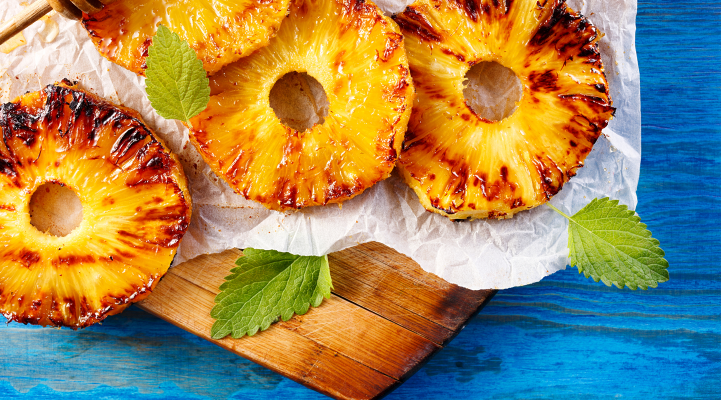 Have you ever tried a pineapple marinade on your BBQ meat? Or a fresh vegetable curry with pineapple? Try a grilled pineapple with a fresh coconut-cream custard for dessert! You can find more ideas in our recipe database. And, dare we mention, pineapple on a pizza? 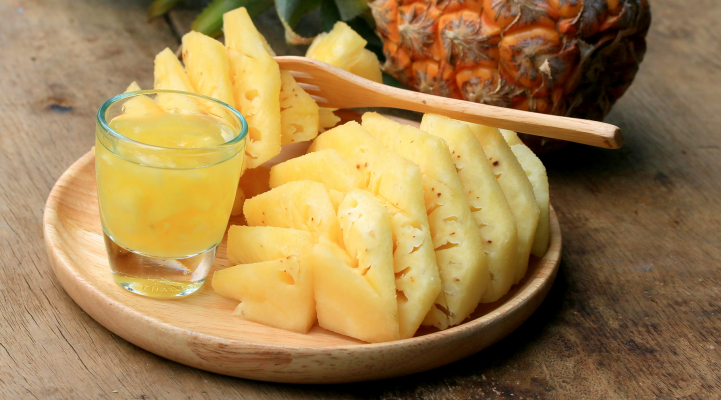 Pineapple is not only delicious, it is also very nutritional. 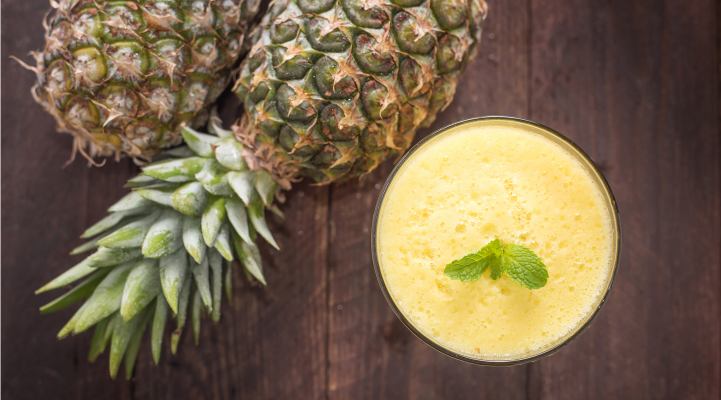 Rich in minerals such as iron and manganese, Pineapple also contains plenty of vitamin C and beta-carotene. Particularly noteworthy is the enzyme bromelain since it splits up proteins and therefore aids digestion. 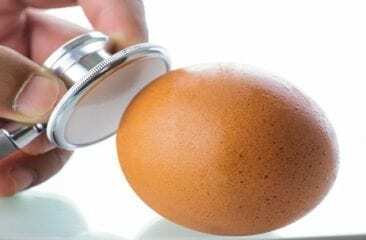 It also has an anti-inflammatory and anti-hypertensive effect. Pineapples are entirely grown in the tropics: Central America, the Caribbean, South East Asia and also in Africa. They have to travel quite a distance to make their way to our supermarket shelves. As with many tropical fruits, like the banana, the cultivation of pineapples must be viewed critically: the deforestation of the rainforest for acreage, as well as giant monocultures or severe pesticides pose serious problems. But not only is the environmental impact enormous, the social impact in the producing countries is also drastic due to poor working conditions and the lack of protection for field workers. But what does that mean for us as consumers? 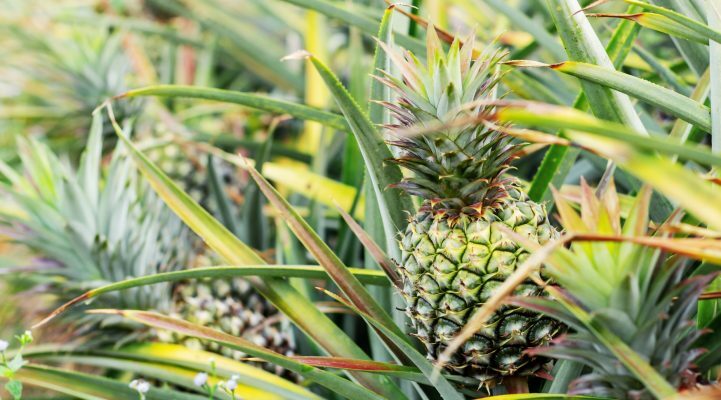 As long as we consider the pineapple to be an exotic rarity with an outstanding taste, we will continue to have the right attitude towards tropical fruits that grow so far away from us. What’s more, we can rely on organic farming and fair trade fruit which reduce environmental and social impacts. Abstaining from air-transported pineapples also makes sense and helps to minimise negative effects. How do you like your pineapple? 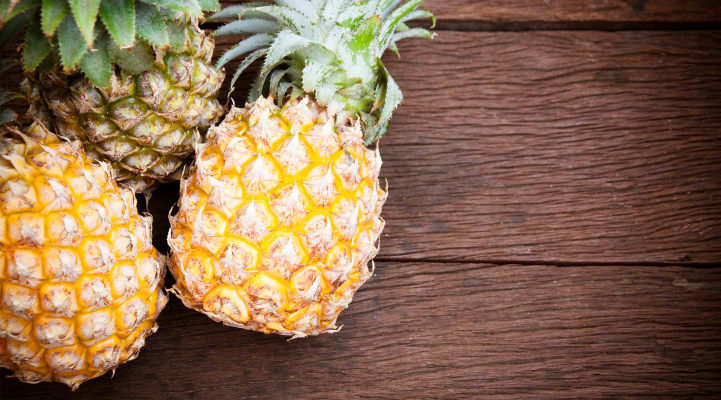 Share your favourite recipes or tell us how your pineapple growing works out. Feel free to share this article on Facebook or Twitter or check us out on Instagram. 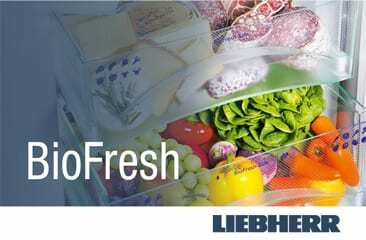 Never miss a FreshMAGAZINE article again! 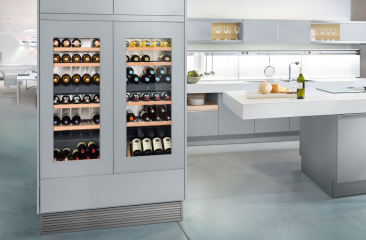 A wine storage cabinet or a multi-temperature wine cabinet? 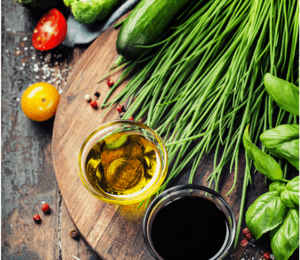 Wine grape or dessert grape – what’s the difference? The secrets of red cabbage revealed! The many faces of chicory – as salad, oven roasted, and even in coffee!